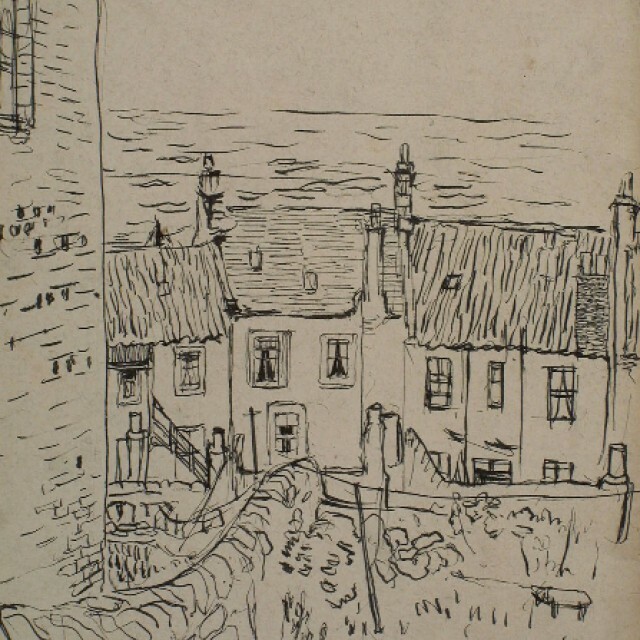 Born in Haddington he trained and taught at Edinburgh College of Art, latterly as principal, he was a great influence on many of the next generation of the Edinburgh School. He himself studied in Paris with Andre Lhote and absorbed, variously, the work of Munch, Matisse, Braque and Bonnard. Still life and landscape oils tend to be composed studio pieces of subtle complexity.